“Stan was a rare dinosaur, a one of a kind. 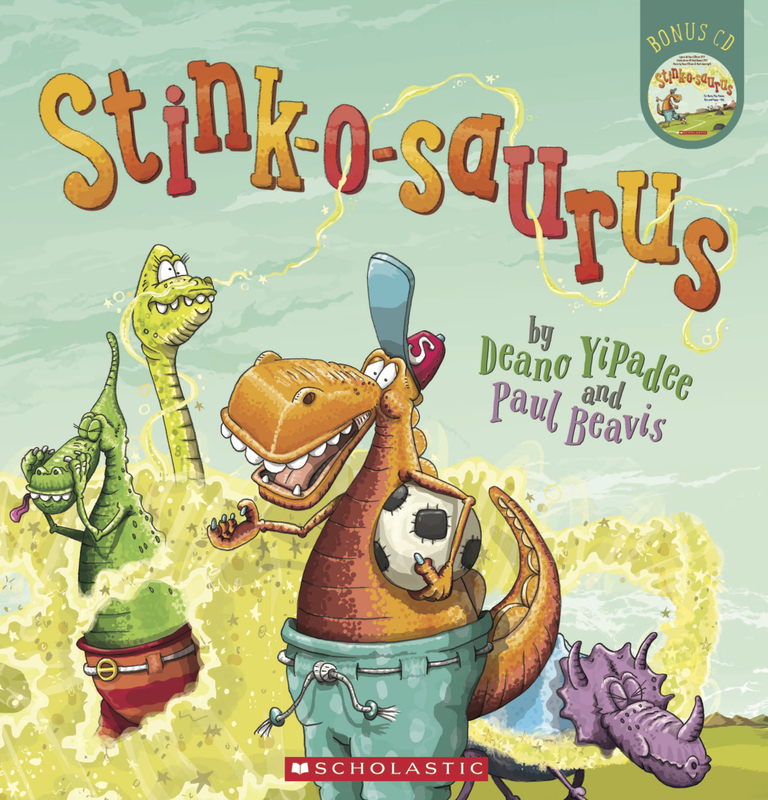 Most ROARED from their front, HIS roar came from his BEHIND!” You’ll split your pants laughing at Stan, the world’s only STINK-O-SAURUS. But can his stinky antics save the day and keep Tommy T-Rex far away? NEE NAW! NEE NAW! I'm a little fire engine. NEE NAW! NEE NAW! I'm happy I'm me. 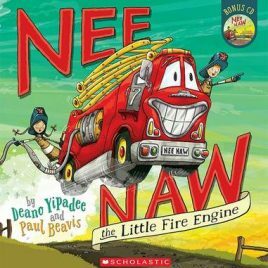 Get your siren going and sing along with a FFFTTT PLOP BANG as Nee Naw, the little fire engine, saves the day. Includes CD. Oh no! How can that be? Grannys cow PLOPPY is stuck up a tree. 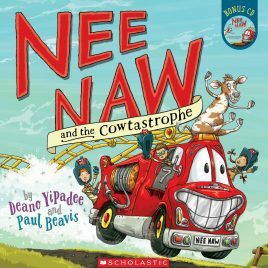 With a loud TOOT TOOT and a HIP HOORAY, look who is coming to save the day: NEE NAW! NEE NAW! Im a little fire engine. NEE NAW! NEE NAW! Im happy Im me. 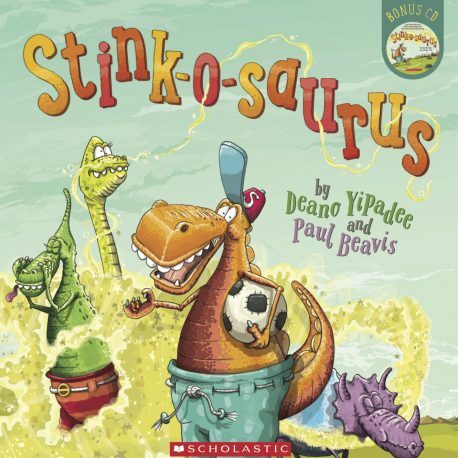 Another hilarious, trouser ripping rescue from the creators of Nee Naw the Little Fire Engine, Jingle Bells, Rudolph Smells, and Stink o saurus!